Spent the whole day cleaning out my closet and well I'm still not done. Hahaha. I have to stop by around 5pm ciz my back was killing me by that time and well we have dinner & movie night out with friends. I had yummy grilled chicken at Peri-Peri. Nomnomnom. Then watched "The A-Team". I can't remember the TV series from the 80's though I do remember Mr.T! Hahaha. I think we used to have his action figure. anyway, mind to exchange link? I watched A Team too! It was so action packed. I was so stunned in the beginning that there was already so much happening straight away. It was tiring to just watch. Haha! 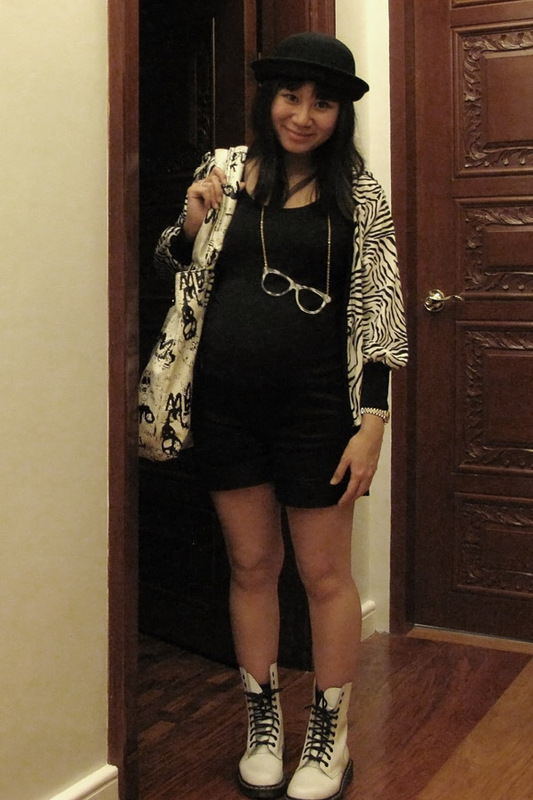 As always, you are the most stylin' mommy to be, Lloyda!